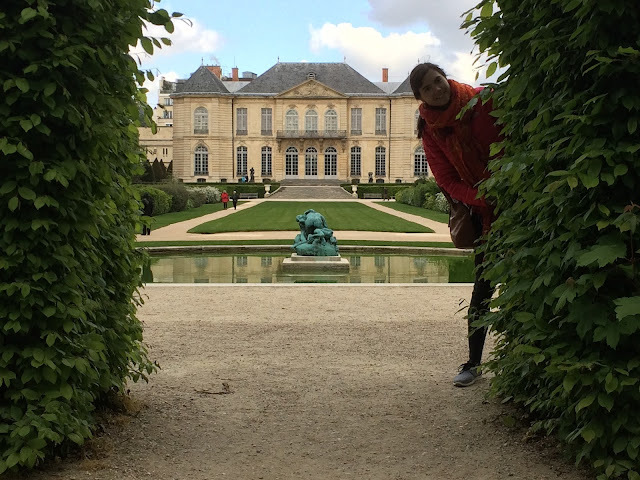 I'm sort of surprised that it took me four different posts to write about our 3.5 days in Paris.... but then again, it's me. Brevity was never my strength. If you have read all of what I wrote, you are incredible! But if you skipped right to this part, you are just fine, too. This is my list of places that, in my opinion, you really shouldn't miss on a Paris visit, no matter how short. Then there is a little section on gift/souvenir ideas, and finally a list of Paris restaurants to wet your appetite. 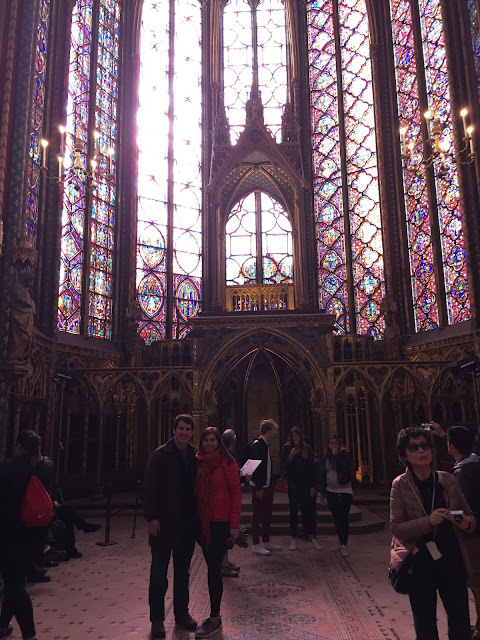 Saint Chapelle - go to see the chapel windows when it's sunny out! So beautiful. 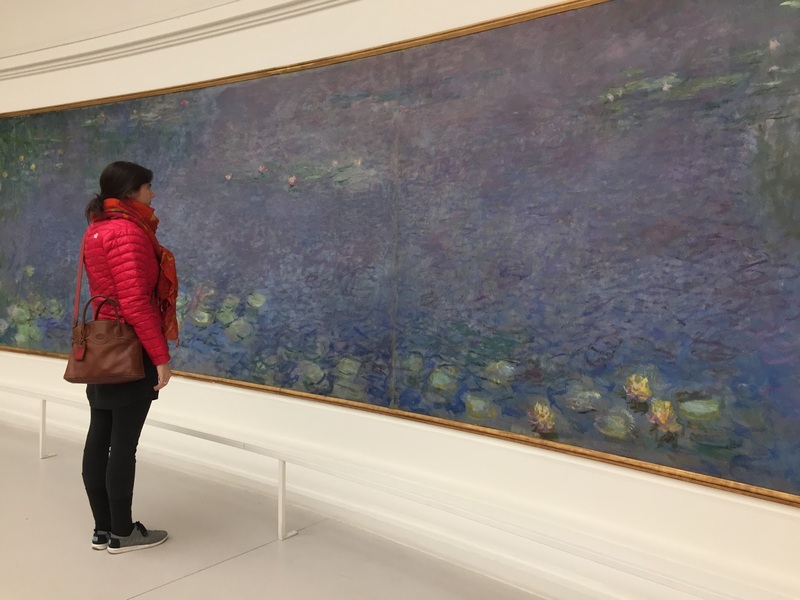 Orangerie - worth it to see Monet's beautiful water lily panels. Montmartre - charming, hilly streets of the 18th arrondissement. A unique feel and different than anywhere else in Paris. Just be careful at night. Sacre Coure - beautiful church in Montmartre overlooking all of Paris. Scenic views. Le Grenier a Pan (38, rue des Abbesses, 75018. Closed Tuesday and Wednesday) - best boulangerie in Paris, hands down! Do not go to Paris without getting at least a croissant from here. Eating crepes as the Eiffel Tower sparkles. Ulysse Crepes (28 Rue Cler, 75007). 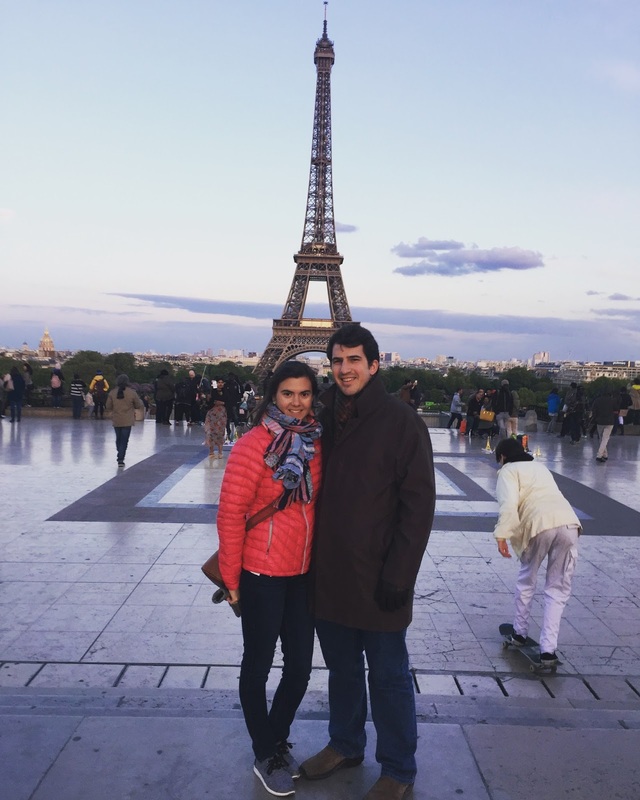 Order savory and sweet crepes and take them back to the Champ De Mars to watch the Tower sparkle every hour. Best nutella banana crepe in Paris. Cath Kidston - charming, British, floral-patterned knick-knacks and aprons and backpacks and stuffed animals and jewelry boxes and umbrellas and a lot more! You can find their products at BHV Le Marais. Diptyque - Several locations. World-renown candle maker and perfumerie. The candles are expensive but make wonderful gifts. Nearby any tourist attraction, there are tons of kiosks that sell Paris-themed knick-knacks like magnets, mini Eiffel Towers, etc. While most of the stuff is total junk, they sell these little toy music boxes that wind up and play classic French tunes like "La Vie en Rose." These would make easy (and very cheap!) souvenirs for little children. 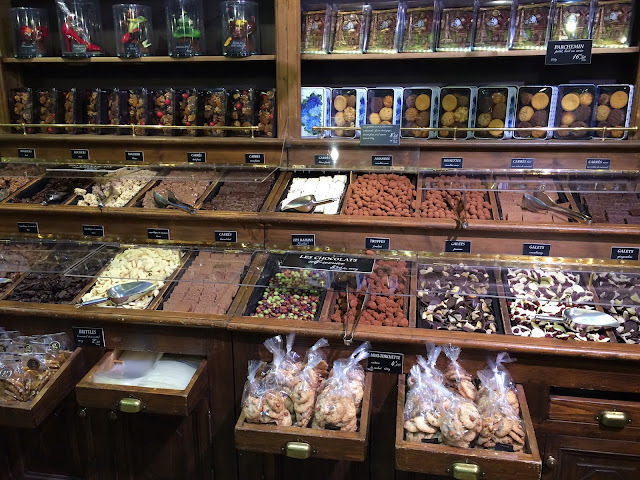 Mariage Freres - a teahouse with several Paris locations. All their tea is wonderful, but (and I hope I'm not stating the obvious) the "Paris Tea" is the best! *Always make sure you look up to see what days and times restaurants are open before making your way there! Le Relais de Venise (271 Boulevard Pereire, 75017 ) - renown steak and frites place. Doors open at 7pm but you want to get there early to wait in line. We LOVED our meal, our waitress, and the general atmosphere. 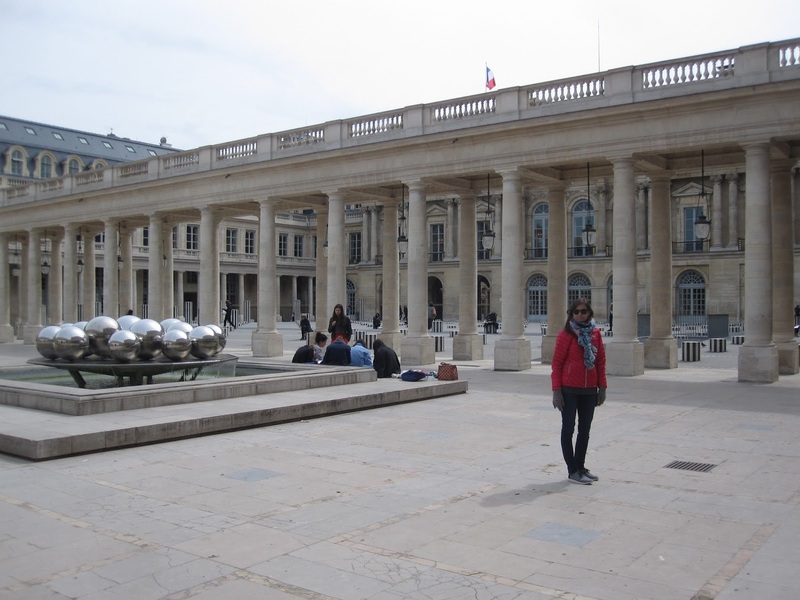 Angelina (226 rue de Rivoli, 75001) - From my dear friend Elizabeth: "It’s right next to the Louvre. Their “chocolat chaud Africain” is their most famous drink. It is the BEST hot chocolate I have ever had in my entire life. It tastes like a melted chocolate bar, and they give you whipped cream to dilute it. They’ve got breakfast and lunch too, but you’d be fine just getting the chocolat chaud. Fun trivia: Coco Chanel used to come here everyday and get this hot chocolate she loved so much." Hemingway Bar at the Ritz (15 Place Vendôme, 75001) - swanky stop for a drink before heading to dinner. Le Recamier (4 Rue Récamier, 75007) - Best souffles in Paris. This is where Michelle Obama eats when she's in Paris. 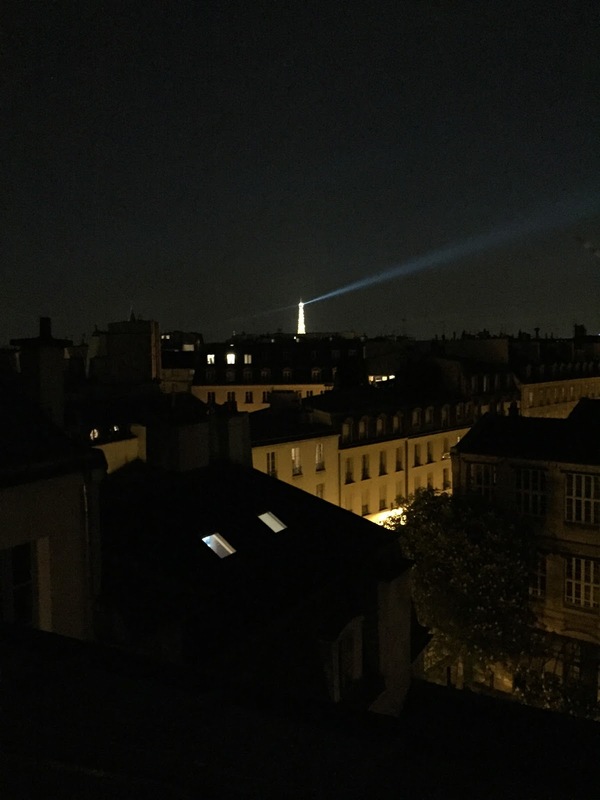 Les Ombres (27 Quai Branly, 75007) - super pricey and swanky rooftop dining experience with amazing views of the Eiffel Tower. Definitely a place to go if celebrating an anniversary or milestone birthday. Le Petit Cler (29 Rue Cler, 75007) - any restaurant on Rue Cler is going to be good (like Cafe du Marche,) but this one comes highly recommended. Casa Bini (36 Rue Grégoire de Tours, 75006) - Divine little Italian spot in Saint Germain. Luisa Maria (12 Rue Monsieur le Prince, 75006) - Delicious Napoli-style pizza. Chez Janou (2 Rue Roger Verlomme, 75003) - French restaurant with massive bowls of chocolate mousse for dessert. This was our final full day in fair Paris. 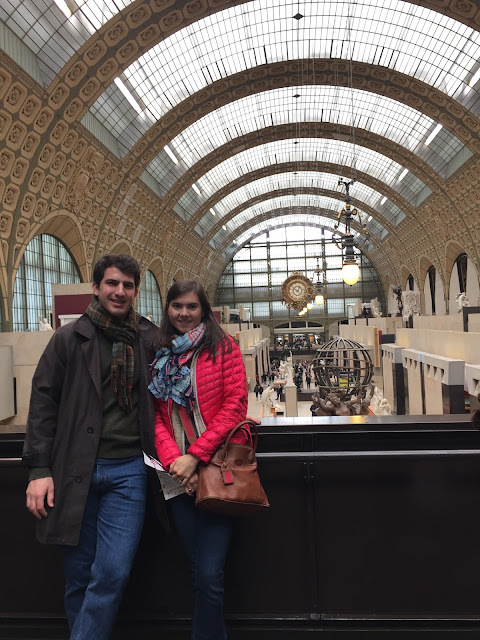 We more or less went all over the city in no particular order... which proves that the Paris metro is amazing and so easily accessible and takes you anywhere! We woke up and took said metro up to Montmartre. 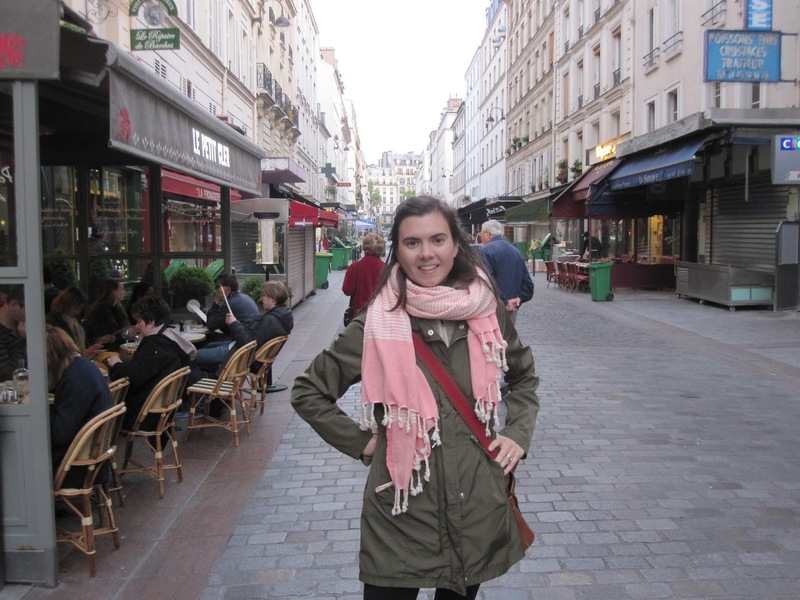 Strolling the streets of classic Montmartre was one of my very favorite things we did the entire trip. 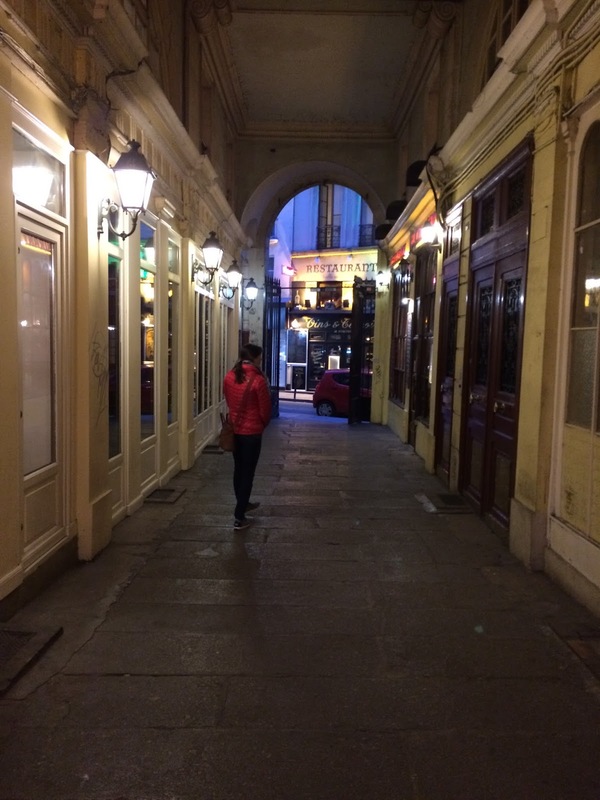 It has old world charm and felt entirely different than anywhere else in Paris as we climbed the hilly streets. It was also quieter, but this may have been because we were up before most of the city was yet awake. This was also where I had a major pregnancy low that I alluded to earlier in my previous blog post. We were literally en route to what has been dubbed the absolute best bakery in Paris, but my belly cried out for an egg McMuffin as we walked past a McDonalds. Mind you, I haven't set foot in a Micky D's in ages. I mean like probably 15 years. But all of a sudden an egg McMuffin was THE THING I NEEDED OR I WOULD DIE. So there you go. I traded the world's best croissant for an egg McMuffin. It was a major life low. 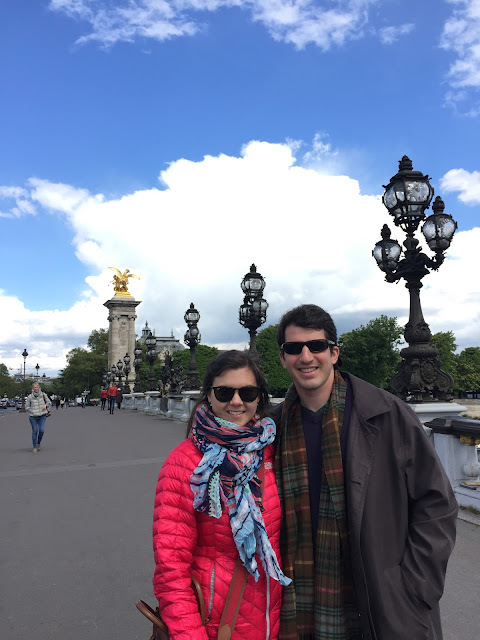 However, we soldiered on to that best bakery in Paris (and if it's the best in Paris, let's be real -- it's probably the best IN THE WORLD,) and Michael ate the most delectable, flaky-yet-held-together, buttery, perfectly made croissant that I have ever ever ever had one bite of. (I was full from my trash breakfast but had to at least have a taste.) I swear the heavens opened up and light beams fell on my face in that one bite. If you do ANYTHING right in Paris, it is to go to this bakery: Le Grenier a Pain (38 Rue des Abbesses, 75018.) Order everything! It's phenomenal. 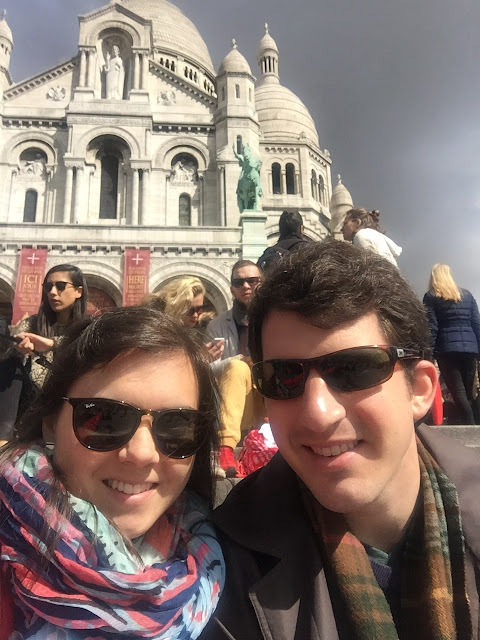 I was so crushed to have missed the best croissant in the world, so we actually went back for lunch after visiting Sacre Coeur and shared a baguette sandwich, a slice of quiche, and a tomato/mozzarella roll. The crust of the quiche.....Ohhhh my stars. By lightyears, it's the best crust anywhere. Anywhere in the whole world. Just go! Go here and sit on the street and blissfully savor every bite of your breakfast, lunch, snack or whatever it is that you are eating. Sitting on the street (because there is no where else to sit) and watching Montmartre life go by before us as we ate our lunch -- this was by far my favorite meal in Paris. And probably the cheapest! Ok, let me come back down to earth now. 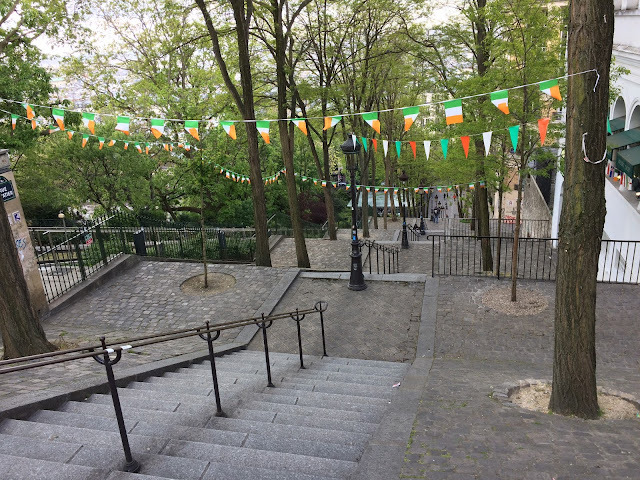 After stopping at the best bakery in the world for Michael to have his croissant, we then climbed the hills and long stairways up to Sacre Coeur. Michael and I both so loved sitting on the steps and looking out over all of Paris. It's romantic and scenic and beautiful. 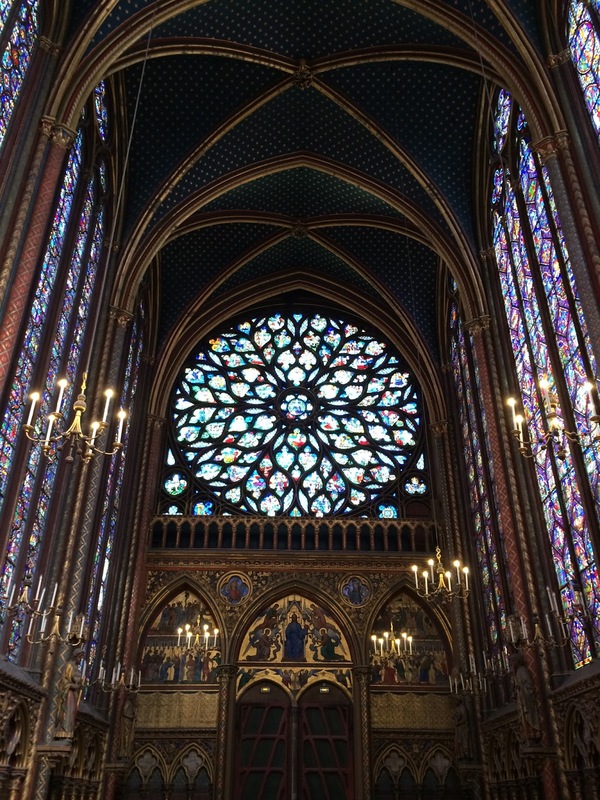 The church is amazing as well: at least one person has been praying for peace inside Sacre Coeur since 1885. Pretty spectacular. We then walked over to Place du Tertre, the iconic artist-lined square where you can get your caricature painted. There are more serious artists there as well, and I loved one artist's water colored Loire Valley and Normandy beaches scenes. I wish we had saved our money to buy one or two of these, but at that point, we had already purchased a couple paintings and other souvenirs. We then had the amazing lunch that I described above, and took the metro back into central Paris. 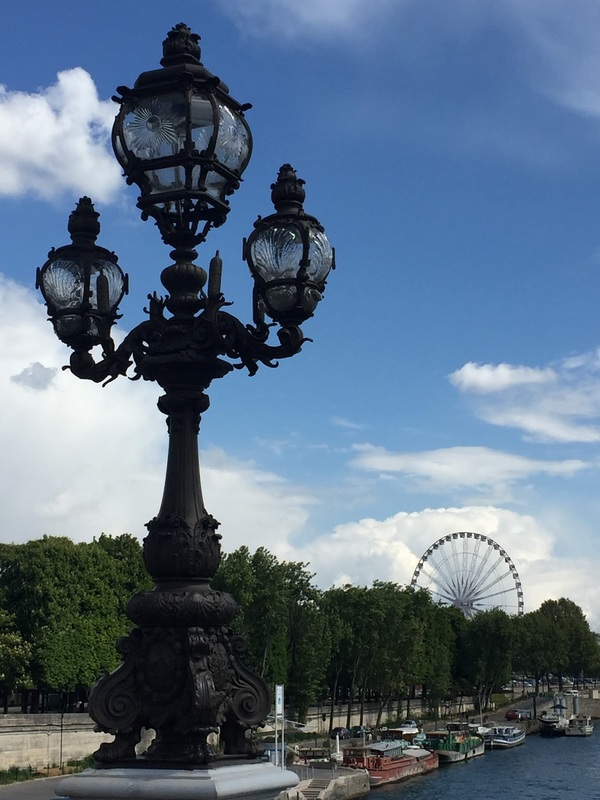 We crossed the Pont Alexander III bridge with its iconic belle epoque style street lamps, and walked up Champs-Elysees to the Arc de Triumph. The whole avenue was a throng of tourists and consumerism... not our favorite spot, but still worth being there! I had meant to stroll down Avenue Montaigne and peek into the some of the flagship fashion house stores, but we didn't love being among such crowds so we instead took the metro .... to a neuroscience library! Michael (who is a neurosurgeon) had known that one of the founding fathers of neuroscience was a Frenchman named Jean-Martin Charcot whose sketches and books are still kept today in a little library at one of the Paris hospitals. 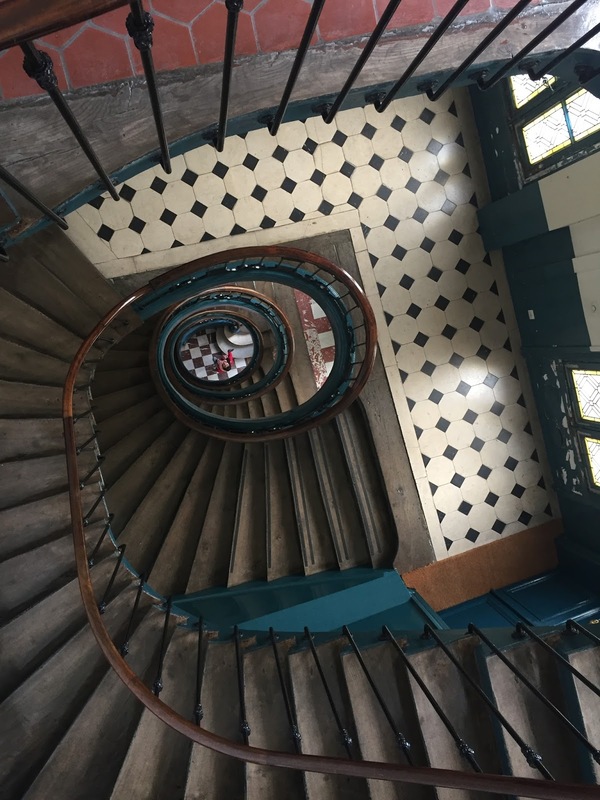 So off we went to the 13th arrondissement where we encountered astonishingly few people who spoke English as we mapped our way through a web of medical buildings, only to find that the library was in a building undergoing renovations! They had moved all the books to another part of the labyrinth, so we walked around again until we found what we were looking for.... only to be told that we could only look at the books and not open them. It was a rather unsuccessful adventure, but at least we've been in a Parisian hospital and library! And I saw a man through the open door of the men's restroom literally drinking water from the faucet because, THERE ARE NO WATER FOUNTAINS ANYWHERE IN THE CITY OF PARIS. Not even in the hospitals! Strange things. We took the metro back to our neighborhood in Saint Germain and strolled along the river near Notre Dame, then rested in our little flat before dinner. For dinner, we decided last minute to go all the way back to the 17th arrondissement and eat at Le Relais de Venise (271 Boulevard Pereire, 75017.) This is a steak frites place that is FABULOUS. Doors open at 7pm but we were told to get there early because a line forms out the door, and it's first come, first serve. All the waitress asks you is how you want your steak cooked. And then out comes bread and the best little French salad of butter lettuce and walnuts in a dijon dressing, followed by mountains of piping hot French fries and seriously amazing steak. Annnnnnnd you get seconds and I think thirds of the steak and fries... basically it's all you can eat, but you really can't eat that much of it because it is SO RICH and so filling. Unreal. Everyone is completely squashed into the place and you are definitely sharing elbow space with the stranger next to you, but it is total Paris charm and totally delicious in every way. Michael and I were too full for dessert until we saw a man behind us eating this half-foot tall tower of meringue, chocolate sauce, and ice cream.... and of course we ordered one of those. It did NOT disappoint. 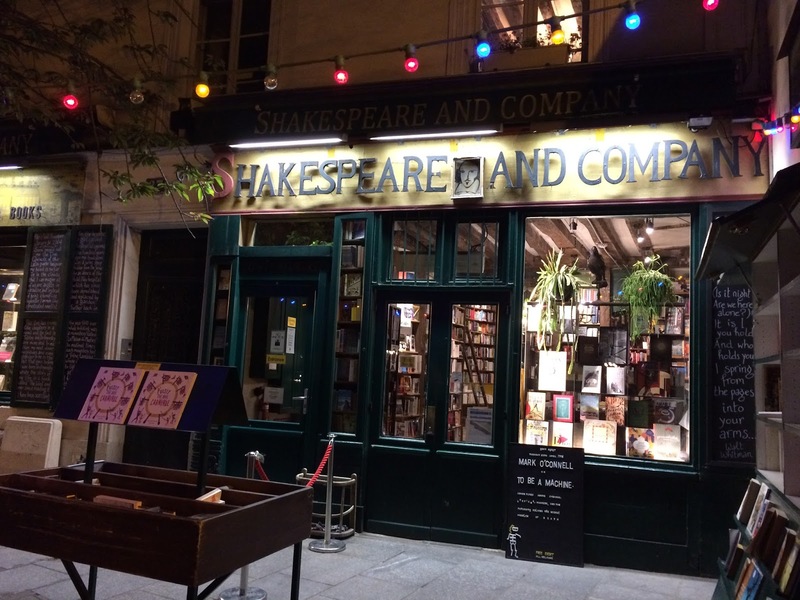 Definitely, definitely this place is not a place you want to miss if you are in Paris! 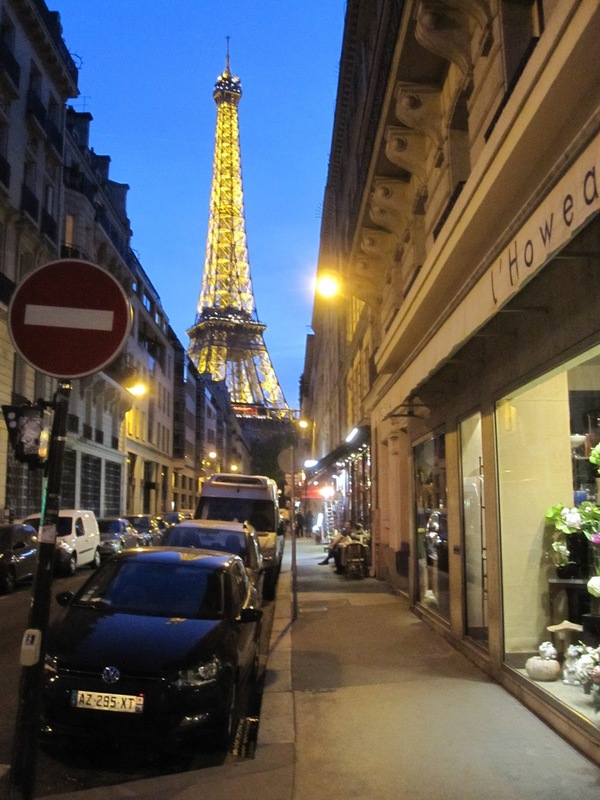 From dinner, we walked all the way down Avenue Raymond Poincaré toward Trocadero. This is a beautiful street (as are all streets in the 8th,) and I especially loved Place Victor Hugo. 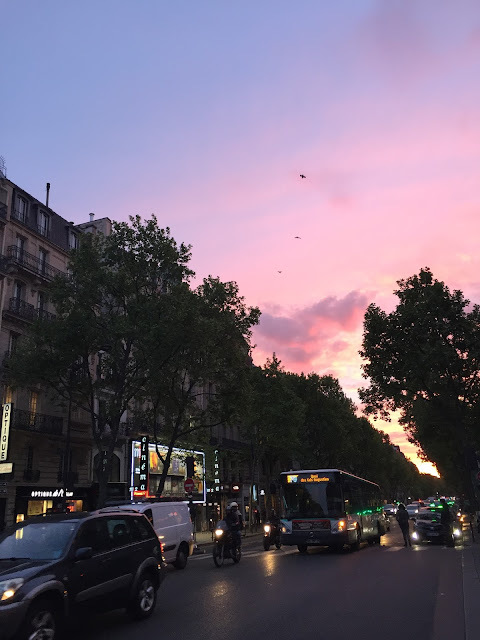 The sun was setting, it was freezing cold, and yet all the sidewalks were still full of people sitting outside at cafes ordering drinks and greeting each other with loud bon jours. So classic. So Paris. 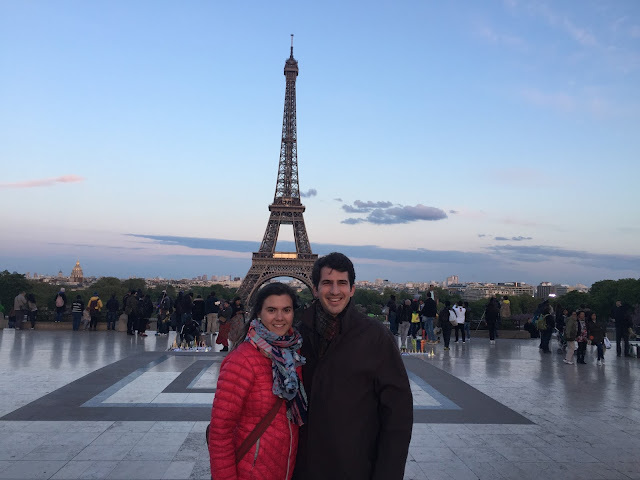 Once we got to Trocadero, I pretty much couldn't feel my feet, but was it wonderfully surprising to come across a beautiful view of the Eiffel Tower and Champs de Mars behind it. Our first and last nights in Paris were spent with the Eiffel Tower sparkling nearby.... wouldn't have wanted it any other way! Mmmmm ok so those pictures don't do it justice.... the chapel is seriously one of the most beautiful spaces I have ever been in. So majestic. From Saint Chapelle, we walked down Boulevard Saint-Germain to Rue de Varenne to visit the Rodin Museum. We didn't know that much about Rodin or his statues, but the gardens were stunning! Definitely one of my favorite outdoor spaces in all of Paris. 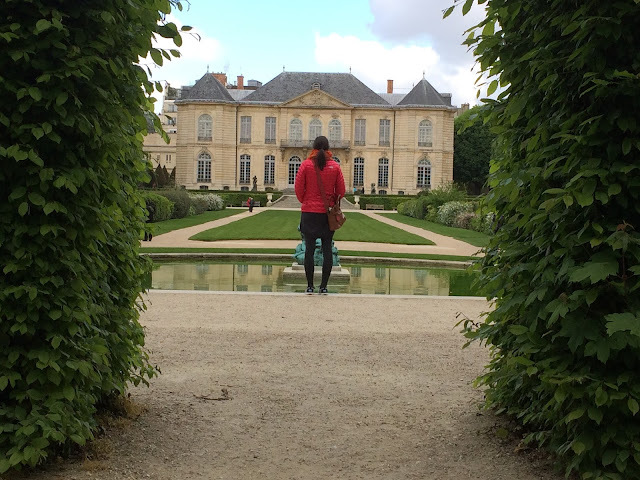 I will forever remember the Rodin gardens as the place where Michael and I switched socks because my feet were so cold. I'll also remember Michael impersonating nearly every statue we walked passed. Why I don't have a picture of him doing that, Lord knows. Actually... I do know. I wasn't about to sacrifice my hands to the elements and take off my gloves to take a picture. It was cold, I'm telling you! This kind of looks like Pemberley. Where's Darcy? 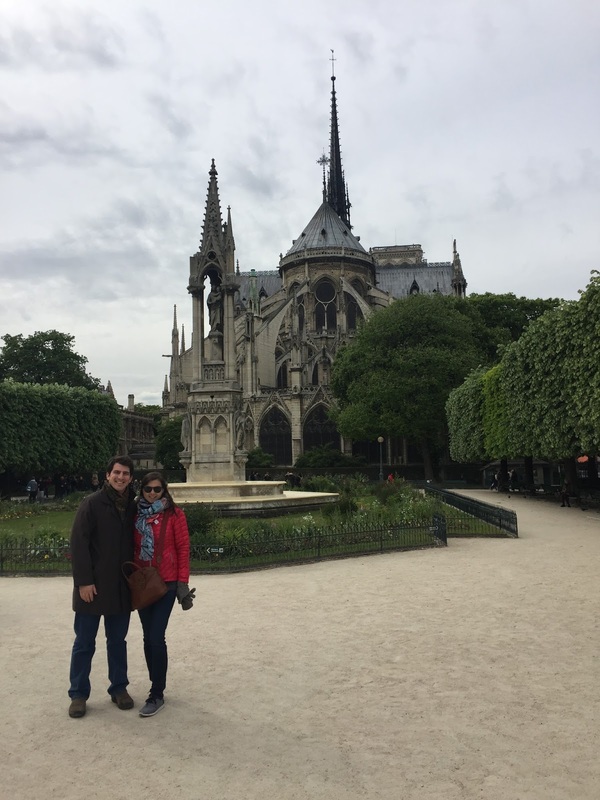 We then took the metro over to Le Marais, one of the oldest parts of Paris -- the 3rd and 4th arrondissements -- that is full of culture and lore. (Wait, where in Paris is that not the case???) Everyone, and I mean everyone, who gave me recommendations about where to eat in Paris all mentioned L'as Du Falafel (32 Rue des Rosiers, 75004). It's a walk-up falafel joint right in the heart of the Jewish quarter, so you'll want to make sure you brush up on your Jewish holidays to make sure it's not closed (and don't go during the Jewish Sabbath from Friday evening to Saturday evening when it's also closed.) 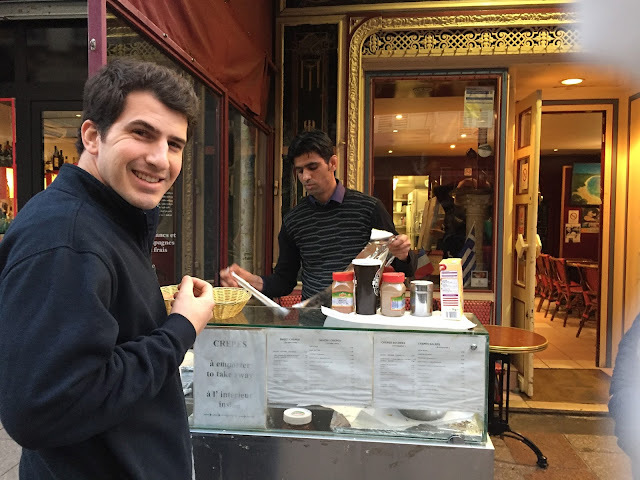 Michael counts his falafel sandwich as one of his best meals in Paris, so there's that. I was pretty underwhelmed, but again, blame it on the baby messing with my tastebuds. The streets right around Rue de Rosiers are filled with perfumeries, and high (and sometimes low)-end jewelry, clothing, and knick-knack stores. It's a wonderful place to stroll. 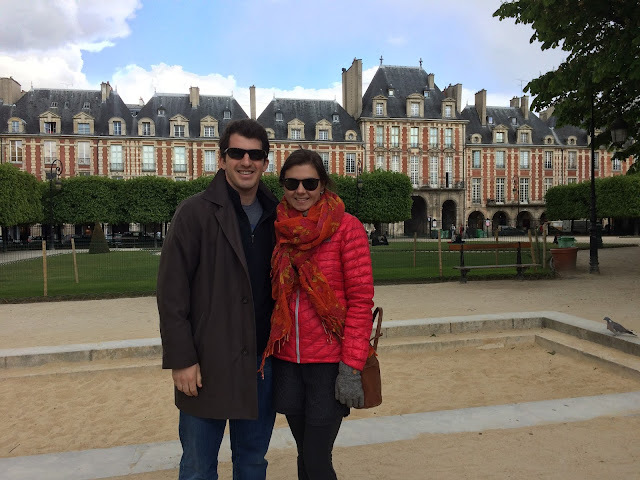 And stroll we did... right on down to Place des Vosges, the oldest square in Paris. It was originally built for the city's poor, but now it is some of the most sought after real estate in the city. Victor Hugo lived here for 16 years in the 1830s-40s. Pretty cool. I'll take an apartment here. K thanks bye. From there, we walked down Rue de Rivoli en route to the Louvre, but providentially made a detour at Le BHV Marais (52 Rue de Rivoli, 75004). I say 'providentially' because Michael was kicking up his heels in disgust about going into a department store in Paris (this is actually how most Parisians originally felt when department stores first opened in their chic city,) but I was on a mission to find a gift for Liza Love. And, I really wanted to see BHV. My friend Elizabeth had said that you can literally buy anything there except groceries. It is like a cross between Target and Nordstrom, except definitely a lot nicer than Target. Two friends had told me about the British brand, Cath Kidston, that makes wonderfully and brightly patterned bags, umbrellas, clothing and lots more, and I was hoping that BHV carried that line. Well they did! We picked a jewelry box with a wind-up twirl ballerina for Liza Love. Five months later, she still loves it! Success. We then went to the Louvre. 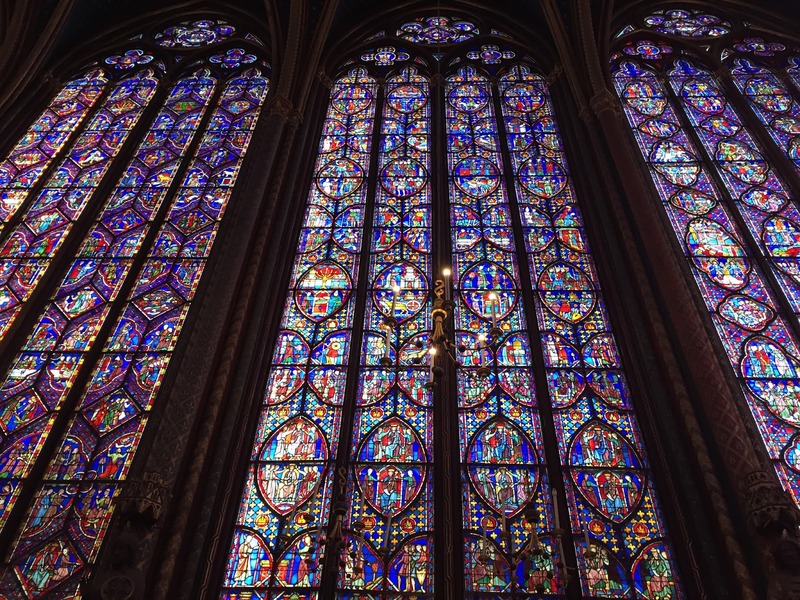 As much as I love history, and art history is obviously a part of that, I feel like I'd need years and years and years to learn everything there is to know about the art in the Louvre. And like twenty masters degrees. Sooooo instead, we listened to the Rick Steves Louvre audio tour. It's the perfect guide to let you see the major works of art, and it gets you in and out of that labyrinth in a little over an hour. Victorious. 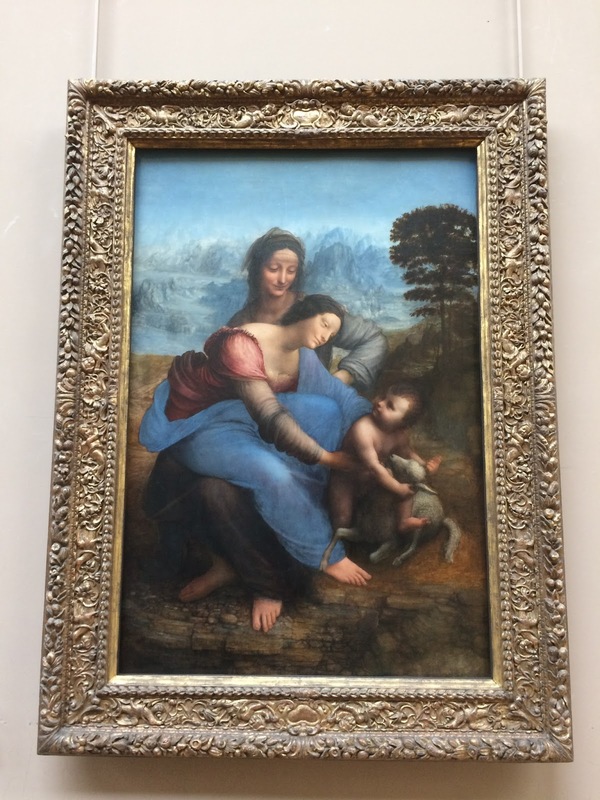 I remember seeing the Mona Lisa when I was in Paris when I was 18, and being so so so surprised at how little and basically forgettable I felt like it (she?) was. I more or less had the same impression this time as well, and it was far more interesting to watch the spectacle of people wrestling their way forward to see the painting than looking at the painting itself. I feel like it could be on the wall of a French chateau surrounded by a hundred other paintings and no one would ever notice it. 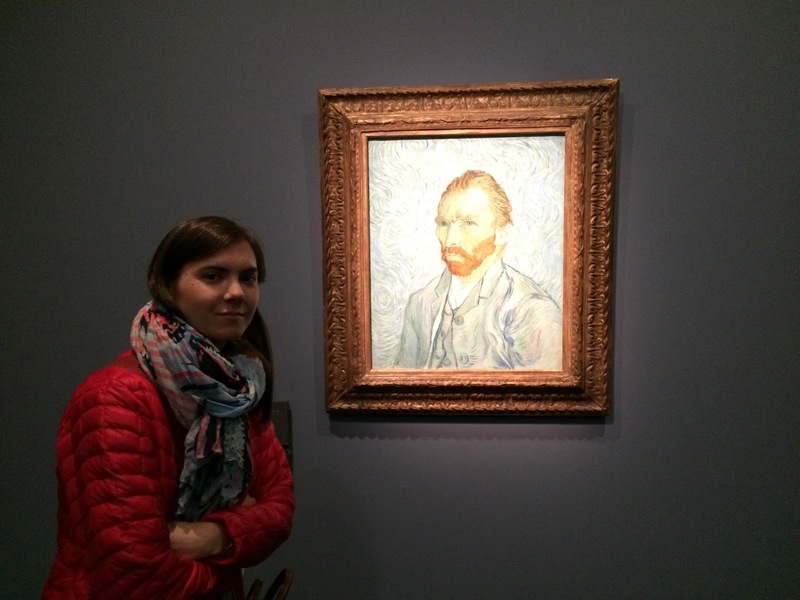 I'm certain that what I'm saying is blasphemous to the art historian's ear, but I mean, the Mona Lisa underwhelmed me! So there's that. My favorite painting was Da Vinci's The Virgin and Child with Saint Anne. It's beautiful. Mary sits on her mother's lap while reaching down to hold (and I think pull back) the infant Jesus, who is leaning forward towards a lamb, of course foreshadowing his death as the sacrificial lamb. It's moving to me because now being a mother, and looking at Mary's love for her child in the painting, it's so painful knowing that she will lose him as her son. That she is trying so hard to grasp him and hold him... yet he is the son of God. So was he ever really hers in the first place? Truly something to "ponder in her heart." 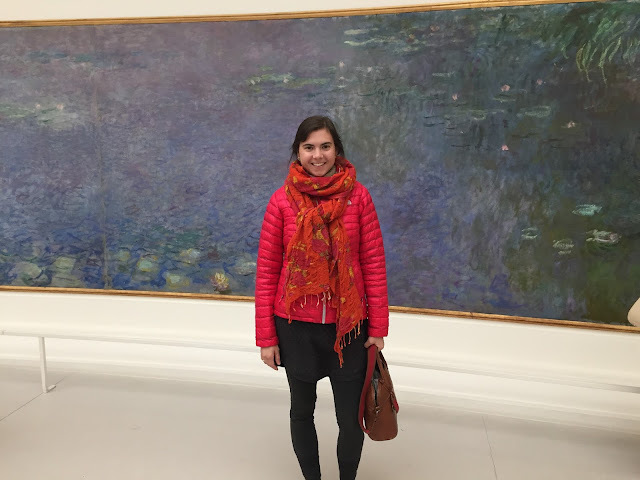 Regardless of how we took pictures, Monet's water lilies are super beautiful and we really loved seeing them. I would love to go to Giverny one day and see where Monet painted them. 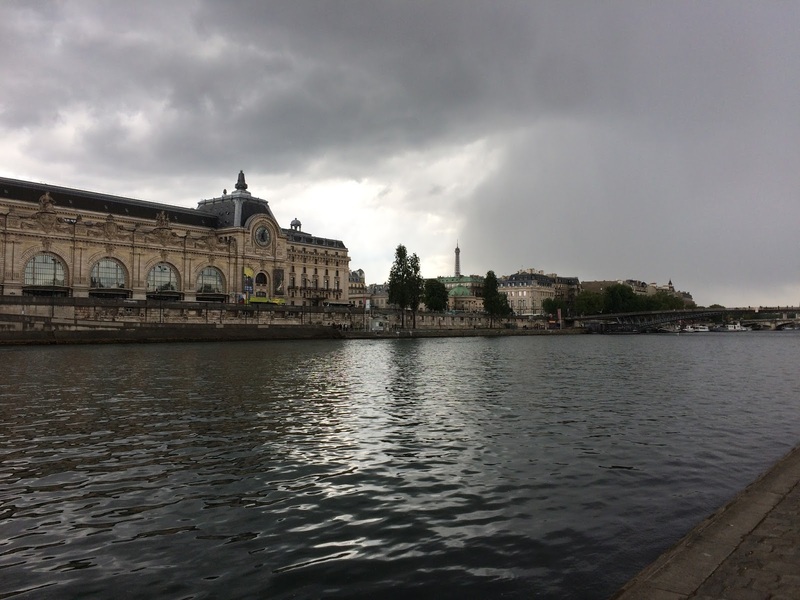 From the Orangerie, we raced home along the Seine to make it back to our flat before a monstrous thunderstorm. We rested during the rain, then ventured out in the gleaming streets in search of dinner. This was the night that we nearly committed culinary suicide and tried to pick a restaurant on our own without a trusted recommendation. 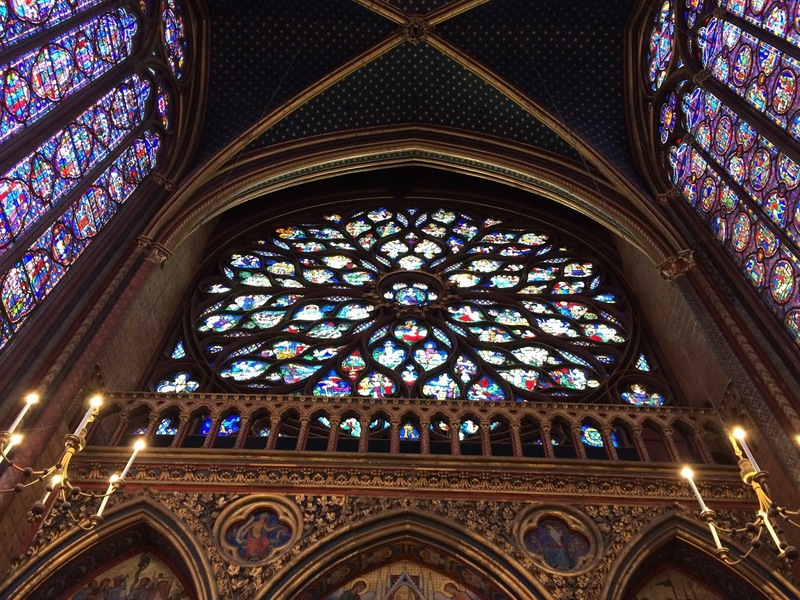 (I mentioned this escapade in Paris: Part 1.) Oh man, it was such a failure. We hightailed it out of there and instead went to Casa Bini (36 Rue Grégoire de Tours, 75006,) a charming Italian restaurant that our lovely AirB&B host had again recommended. The meal was amazing and the constant stream of freshly baked bread was A++! 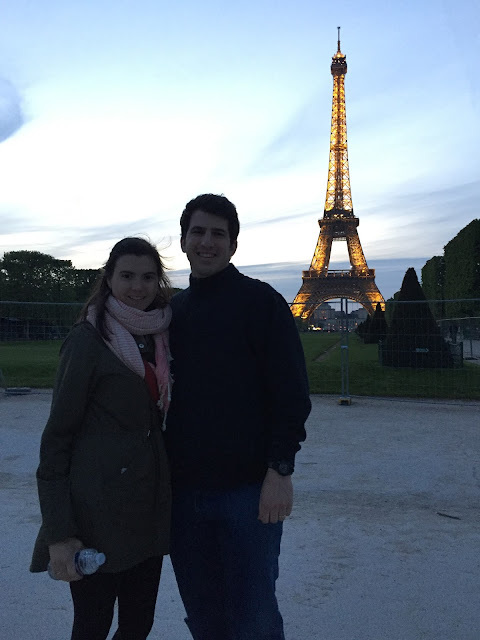 If you are still reading this long-winded saga of our time in Paris, you are my favorite and you are amazing. Pretty sure I only have one more post to write, and then maybe some restaurant recs and then I'm done forever. At least on the subject of Paris. Annnnd not really forever.... just until we go again and I can eat and drink to my heart's content! I think Michael would also reallllly like to go back to Paris when his wife isn't a pregnant, hungry dictator. On our first full day in Paris, we slept in and had a light breakfast in our flat before walking to the Musée de Orsay. 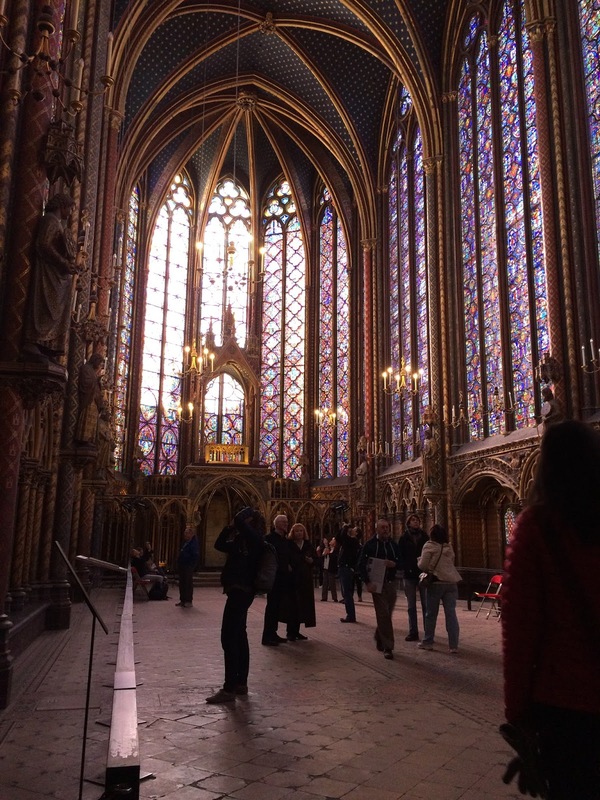 Even with the Paris Museum Pass, we waited in line for 40 minutes before getting inside. This sounds like a long time, and it was fairly freezing out, but time passed quickly because we ran into a girl I knew from DC traveling with her husband and parents, the Italians in line behind us chatted with each other non-stop, and we saw one of only two scenes of Parisian rudeness (if you can even call it that) that we witnessed on the trip. It was between two elderly, elegant Parisian women in the VIP museum line who were yelling at each other because one cut in front of the other. It was great. Elderly Parisian catfight great. Michael especially loved the art and could have stayed in every museum much longer, but his pregnant wife (me) needed to keep moving to find some food. I haven't mentioned yet that I was 8 weeks pregnant while we were in Paris and felt nauseous if I didn't eat every hour or if we stood still for too long. I think I may have been like a little drill sergeant -- I marched us around the city from patisserie to crepe stand to pizza place the whole time. Blame it on the baby! 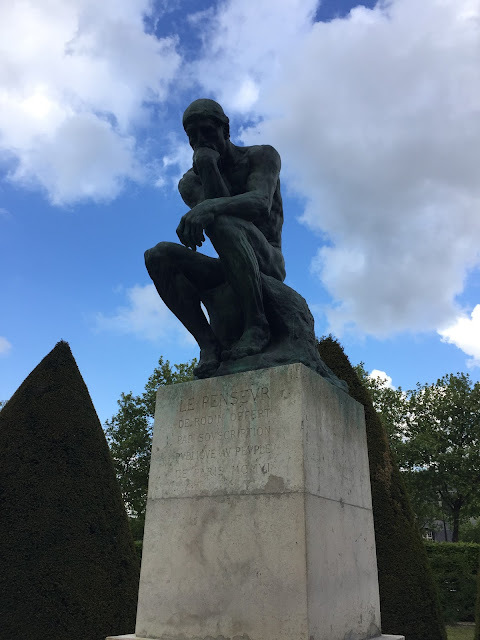 From the museum we walked across the Seine through the Tuilieries Garden to Pret A Manger. My Durham friend Amelia told me to look up a couple of Pret locations throughout Paris for an easy sandwich and coffee stop. This was great advice especially because a lot of French food didn't sound that appealing to me. I used to eat at Pret in DC and didn't realize it was an international chain, so I was thrilled to find it again in Paris. From lunch, we walked down Rue Saint Honoré and Rue de Rivoli to the Palais Royale. It's been so long that I can't really remember why the Palais is significant (but it is!).... but it's beautiful and has a gorgeous garden. Do I look like a tourist?? 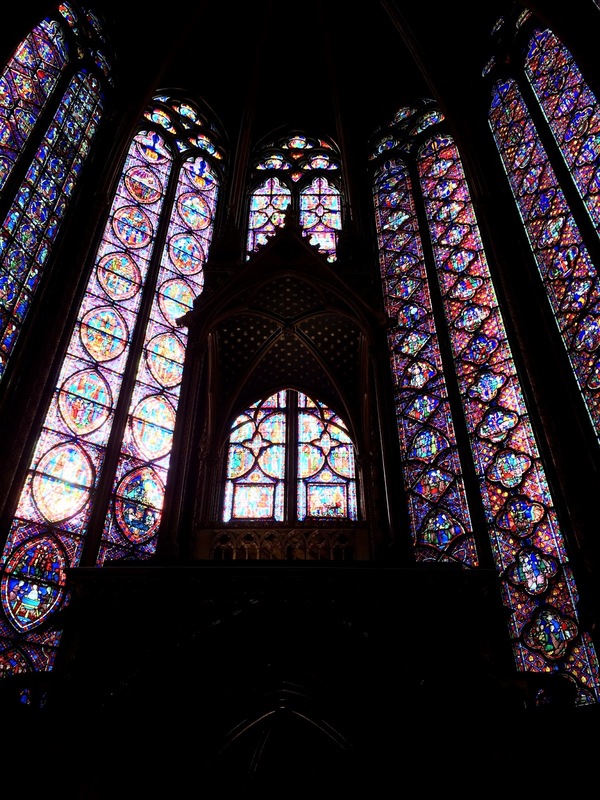 Paris is a city of beauty and people come from all over the world to capture it however they can. Everywhere we went, there were always art students sketching the architecture or statues or fountains or gardens. And they always seemed to never have enough clothes on! It was cold, I'm telling you, and most of these kids had on light button-down shirts and jeans, no jackets. Weird. As I am writing this out, I am realizing that all we really did in Paris was walk around the city. Our feet ached at the end of every day, but the best way to really live and breathe in Paris is by foot. 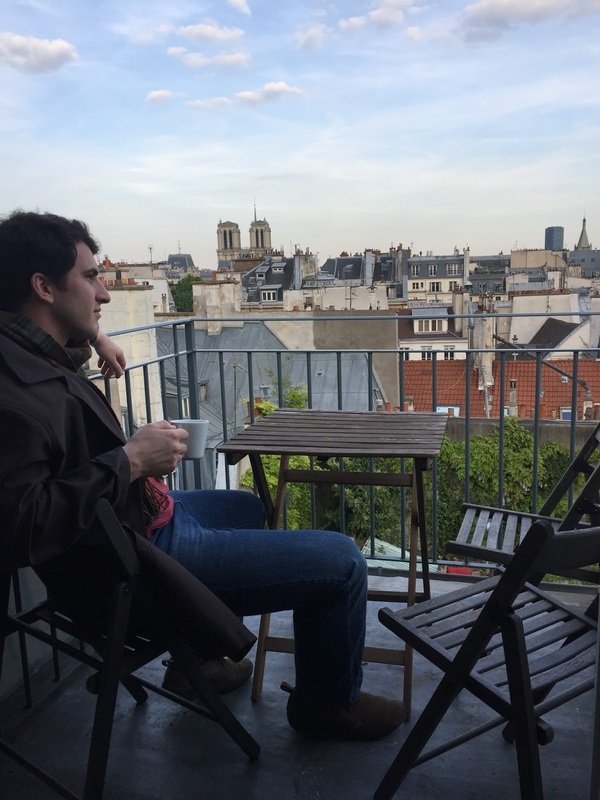 My favorite time in Paris happened now. We left the Palais Royale and walked along the right bank toward Ile Saint Louis, the smaller of the two islands in the Seine. 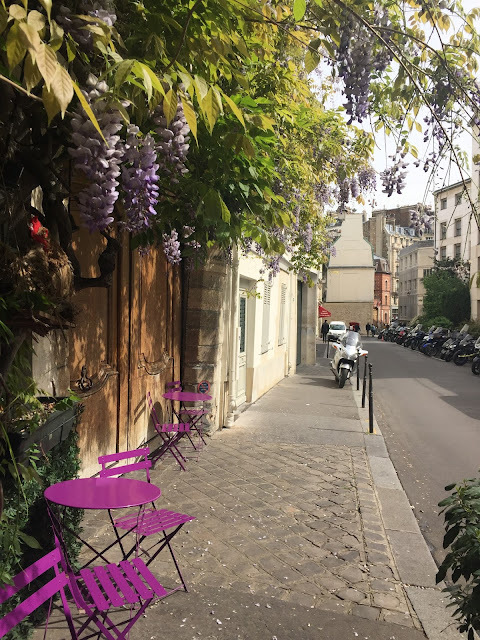 We crossed over a bridge onto Ile de la Cité and came across a tiny Parisian street with a minuscule restaurant claiming to be the oldest restaurant in Paris (who knows about the truth of that claim... 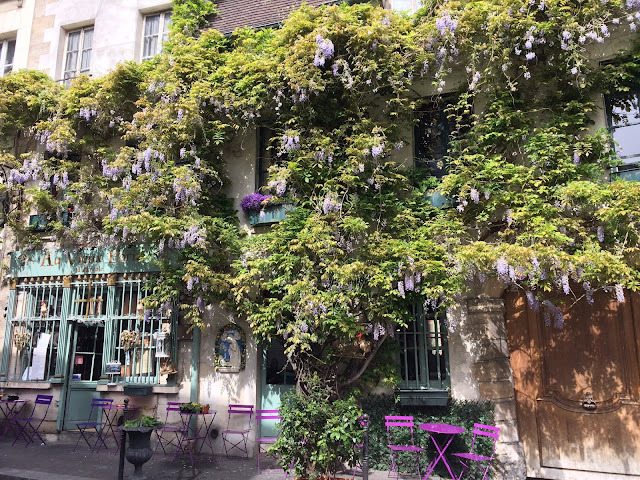 I feel like all the restaurant owners told us something similar) with beautiful wisteria climbing the walls. Walking down this street, we came to the bridge, Pont Saint-Louis, that connects the two river islands. On the bridge, there was a 4-man band playing Belle Epoque music... lively, upbeat, banjo-esque, perfectly French. 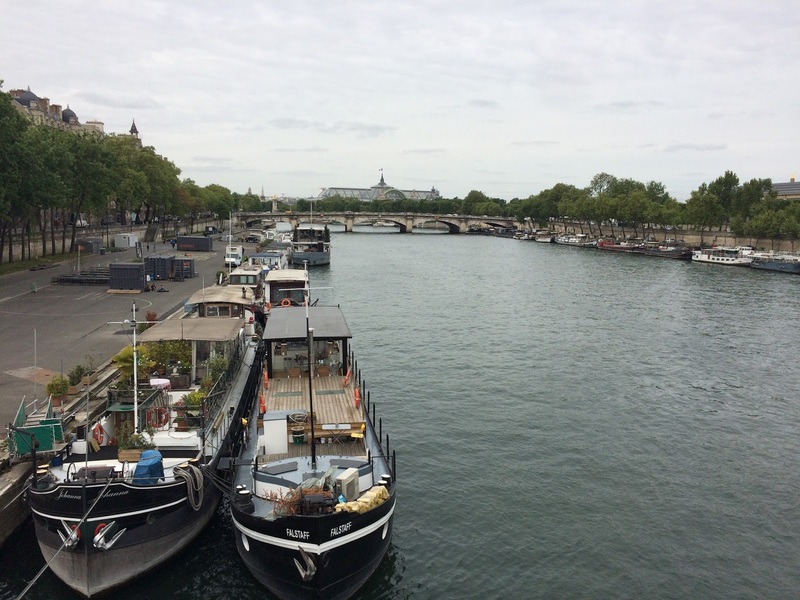 To me, standing there on the bridge overlooking the two islands, with Notre Dame at our backs, listening to iconically Parisian music as an adorable old man with a white mustache rides by on a bicycle..... THIS was our Parisian moment that I didn't know we were looking for. It was perfect. 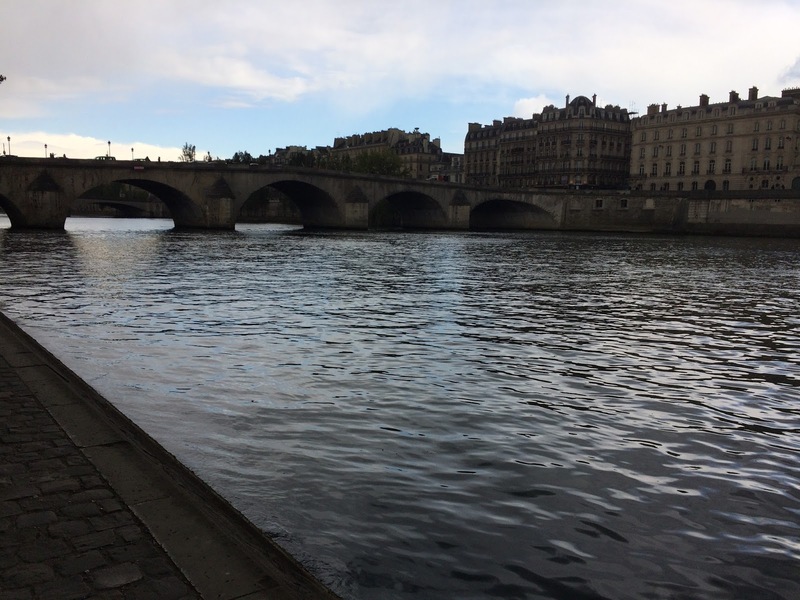 This is a view of the Seine from a different bridge, but still. I wish I could figure out how to put a video on here so you can hear the music, but I can't. If you look at my instagram (@cbcatalino) and scroll back to Paris photos, it's there. To our backs from the bridge where the musicians were playing, we stumbled across Notre Dame. It seems dumb to say "stumbled across" since Notre Dame is .... well... Notre Dame. Like the Eiffel Tower, it's iconically Paris and a dominating landmark, but we didn't realize that the back of the cathedral had stunning architecture and a beautiful garden that was nearly empty of people -- something completely contrary to the cathedral's front entrance and square that was awash with humanity. 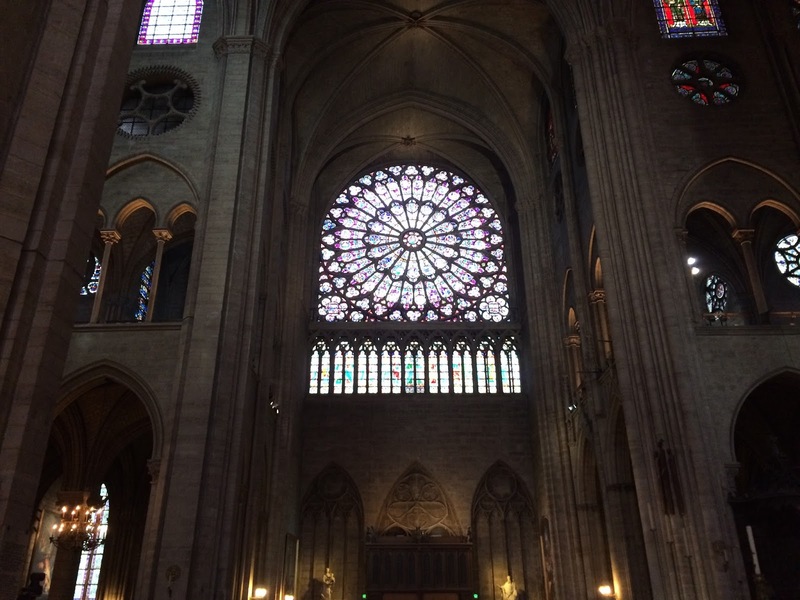 Once inside Notre Dame, we lit a candle and said a prayer for our baby. We aren't Catholic but I don't think Jesus discriminates. 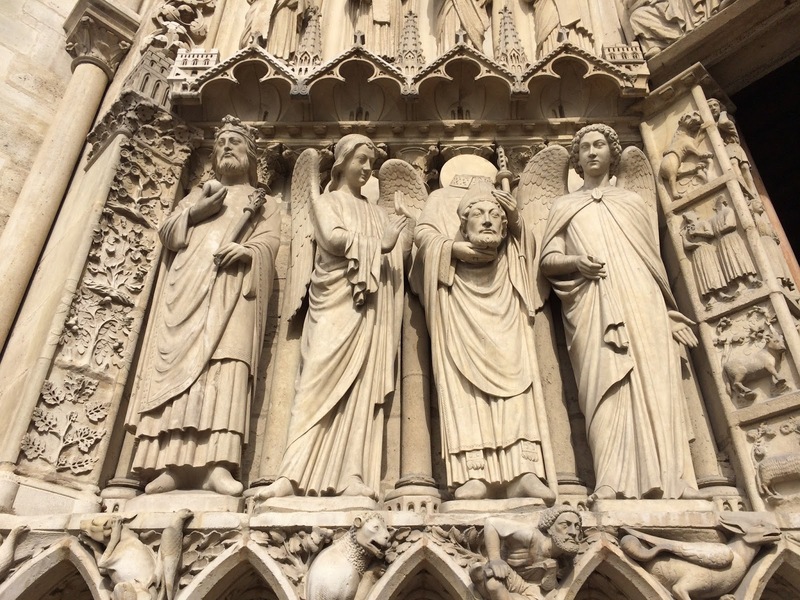 Saint Denis, the patron saint of France, holding his head. Legend has it that he was decapitated but then picked up his head and walked for miles while preaching a sermon. Yup. 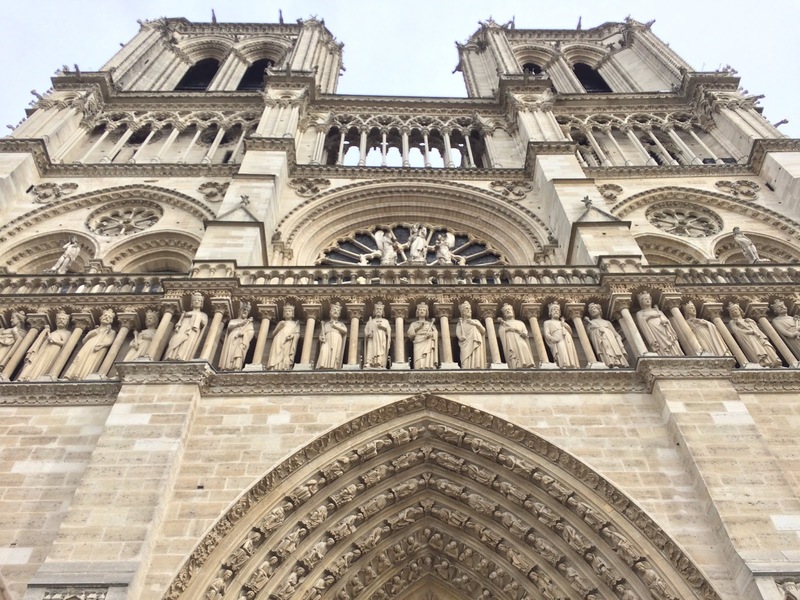 Being in Paris (especially having recently read Paris: The Novel) among so much history and culture and stories and lore and all of the life of the city, Notre Dame especially is amazing to me. Construction started in the 12th century.... the 12th century! Just imagine the millions of people who have come to worship there, or who desecrated the building during the French Revolution, or who have simply walked through the cavernous nave to view the beautiful rose windows. I love it. Gross. More on this later. I mentioned previously how much we loved our neighborhood of Saint Germain. It is FULL of charming streets for shopping, dining, and cafe people watching. Rue de Buci and Rue de Seine are especially wonderful. The 6th arrondissement of Saint Germain bleeds right into the 5th, aka the Latin Quarter. Although right next to one another, they are night and day different. Just walking down Rue de la Huchette transports you from the sophisticated and stylish Saint Germain into a whole different world of university bars, loud music, walk up fallafel or crepe shops, dance floors, and students huddling in small groups as they smoked. A totally different vibe! Friends had recommended a couple jazz bars and late-night haunts, but we never went because of our exhaustion at the end of each day (and because I couldn't drink.) Our last stop of the day was at Shakespeare and Co, the English language bookstore made famous by Ernest Hemingway and other "Lost Generation" writers of the 1920s. With aching feet, we walked back to our flat and again slept like babes. ....It's now late-September, but a 5-month delay is par for the course these days on getting any sort of blog post up. ANYWAY, Paris! Michael and I have never taken a trip together where we've had to plan how we will spend our time each day. The most rigorous planning before now included where to go to dinner after basking in the sunshine for 8 hours (glorious!) But that's about it. Don't get me wrong, a beach vacation is and forever will be my absolute favorite thing in the world (let me remind you how much we loved Bermuda,) but this time, we wanted to do something different. So we went to the city of love!! And lights! Paris has it all. With Michael's work schedule, travel time, and my unwillingness to leave Liza Love for too long, we were really only there for 3.5 days, but it was plenty of time for us. I had made an extensive itinerary and we actually stuck to it, although most dinners ended up being at different places than planned. For lack of time, we didn't do Versailles or go to the Loire Valley, but I would have loved to do that if we had been able. Next time. I planned our trip from word-of-mouth tips from friends, travel blogs, and skimming a few guide books, but I was struggling to figure out how and when to do everything we wanted to do while also not feeling rushed. In the end, I ended up putting together an itinerary that was perfect for Michael and me. Everyday we had set destinations and plans, but how we got there, what we did in between, and where we ate was flexible. If you sit down at a cafe, you have to eat there. So be sure to review the menu outside before taking a seat. Ca Va, pronounced like “Saa Vaa” = it’s all good. What you say when someone bumps into you, or your waiter checks in on you. “Ooo eh la twalette” - can I use the toilet? You can't really go to the bathroom just anywhere. Try to find Starbucks or McDonalds if you are desperate, but it's generally not acceptable to use the bathroom of a restaurant or cafe unless you eat there. Keep your hand on your purse/bag everywhere but especially at museums as pickpockets stake out there. Download French/English google translate to your phone so you can access it offline. This is so helpful in figuring out what to order off a menu! It's easy to know what arrondissement (neighborhood) something is located in based on the zip code. 75001 is the 1st, 75002 is the second, 75016 is the 16th... and so on. One thing we learned: Don't blow your time or money on bad meals. You are in the best dining city in the world, for crying out loud. 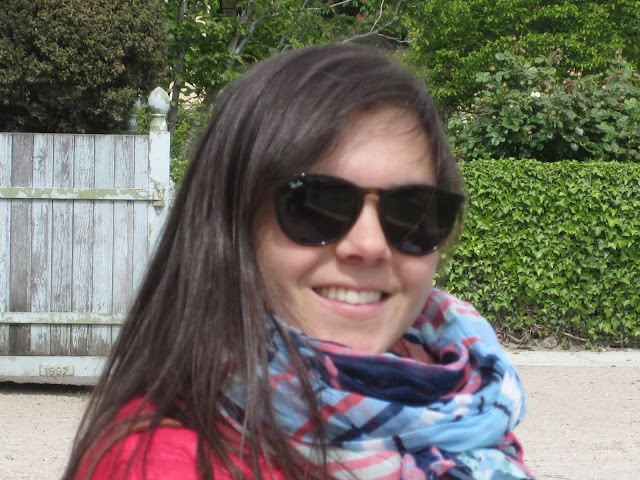 Go with places you have researched and that have been recommended to you. One evening, we did try to pick a restaurant all on our own and not one that had been recommended, and IT WAS TERRIBLE. We sat down and had ordered wine before realizing that the menu consisted solely of frog legs, steak tartare, and vegetable soup. So we did the unthinkable: downed the wine and paid for it, and high-tailed it out of there. Lesson learned and you need to know it: unless you speak French and can read a menu clearly, don't aimlessly wander the streets looking for a dinner spot. Go with all the amazing recommendations that friends will give you. 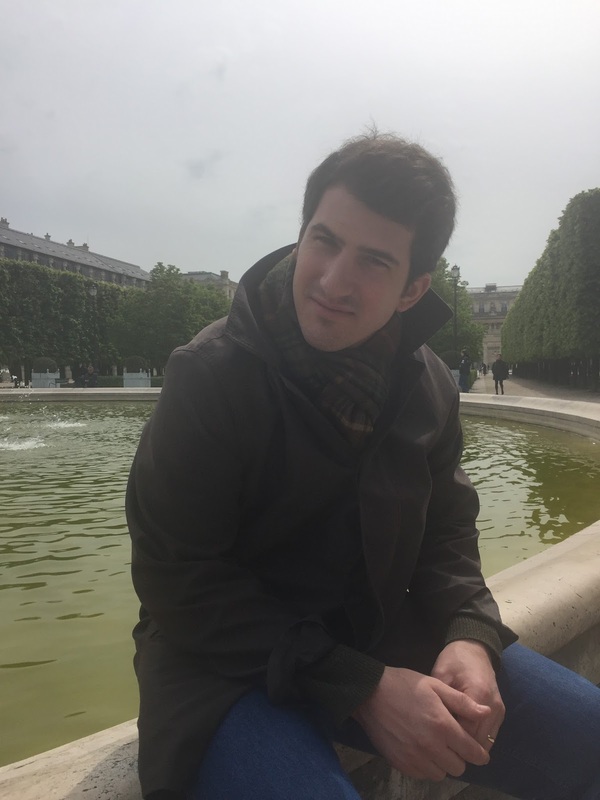 If you don't have Paris-loving friends, then I'll be giving you some great dining recommendations throughout these posts and with a list at the end. OK, now... here's how we saw Paris! I'm sharing all of this because it's nice to remember, and because I want to make it fun and easy for someone who knows very little about the city to go themselves. Or, maybe you've been or know the city well but want to see how we did it. Whatever the case, here you go. 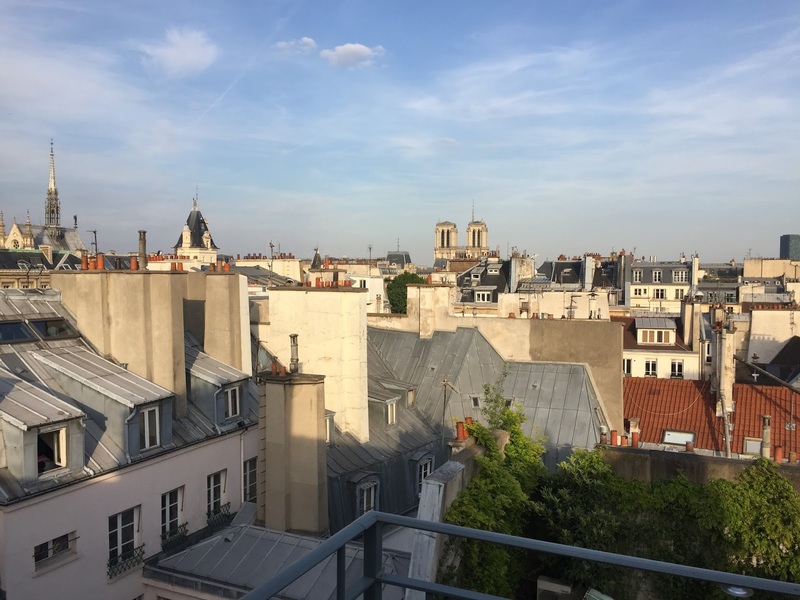 We flew into Paris Orly Airport* and took the metro into Central Paris then walked five minutes to our wonderfully charming 6th floor flat (found on AirB&B**). Although climbing a circular staircase six flights up is not for the faint of heart, we LOVED where we stayed. In the heart of Saint Germain (6th arrondissement,) we had stunning rooftop views of Notre Dame out one window and the Eiffel Tower from the other. It was a dream! View from the other window. Sparkling Eiffel Tower! 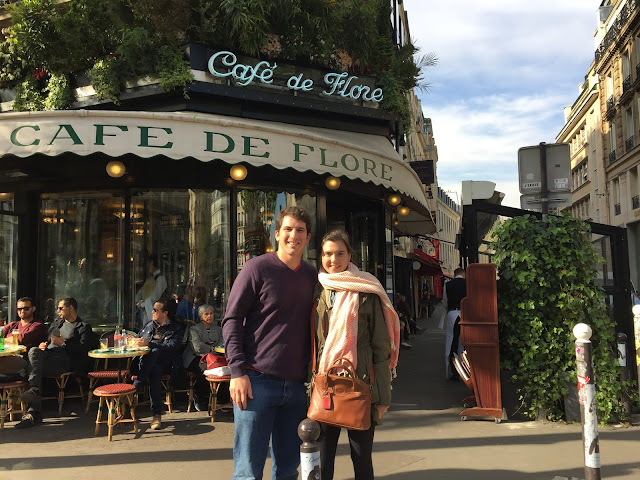 We arrived at our apartment at 3:00pm and hadn't had lunch so quickly got settled and then walked to Cafe De Flore for our first meal in Paris (172 Boulevard Saint-Germain, 75006.) The food is silly expensive and only ok, but it (along with Les Deux Magots across the street) is the iconically Parisian cafe where Hemingway and all his author friends hung out in the 1920s. The waiters are wonderful and friendly, and we actually saw a writer hard at work inside. Very cool. This was also our first glimpse of the Paris cafe scene. I never got tired of seeing how the French will sit side by side fully engaged in conversation, but all the while their chairs and bodies are turned out toward the sidewalks to admire the passerbys. And oh my stars, there is so much to admire. Parisians are so effortlessly elegant. I loved watching them. 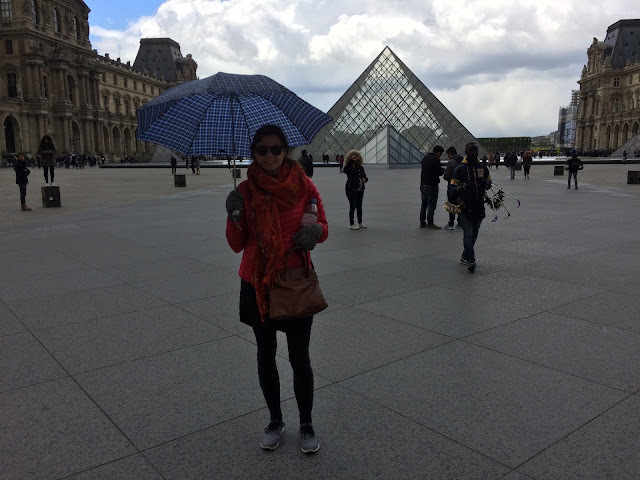 Mothers especially... my go-to mom uniform of a tank top, sports bra and running shorts WOULD NOT FLY in Paris. These mothers wore skinny black jeans, heeled shoes or at least very chic sneakers, fitted jackets hugging their waistlines, minimal but perfect accessories, and they pushed beautiful and functional strollers with fat babies wrapped in adorable sweaters. HOW DO THEY DO IT?? It's very mysterious. 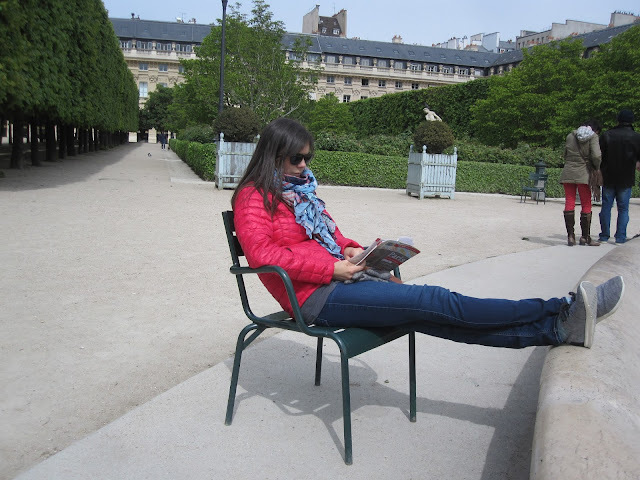 From Cafe de Flore, we walked to the Luxembourg Gardens and strolled until we found empty chairs to rest in. 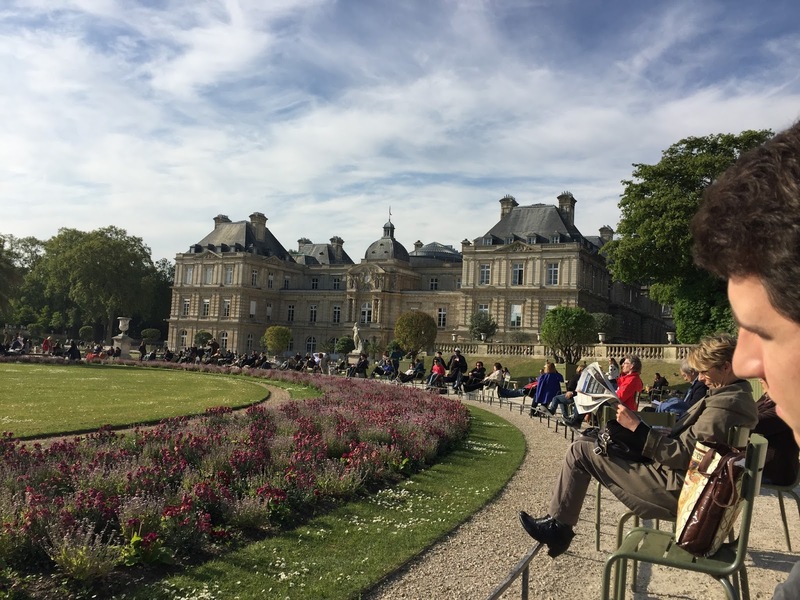 Here I noticed another little Parisian habit, and this one is maybe my favorite...... everyone, and I mean everyone, turns their green metal chairs towards the sunshine and lifts their faces to bask in the late afternoon sun. 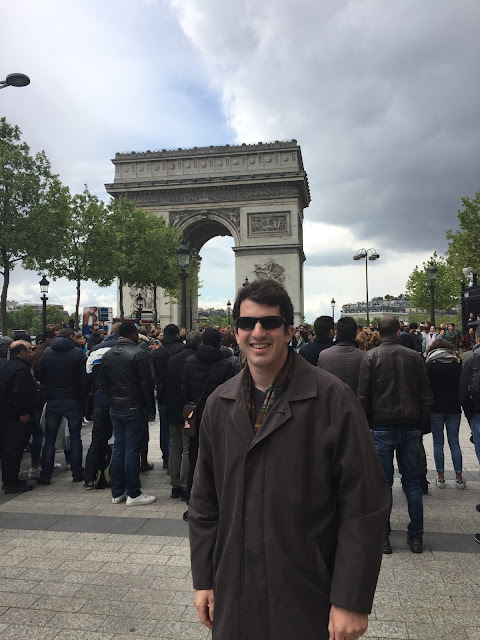 Of course, we were in Paris in late April when it can still be quite cold, but after a long winter, everyone is longing for warm weather and will soak up anything they can get. I loved seeing this because it's exactly what I do, and exactly what my dad does! There can be snow on the ground, but if it's sunny, I will wrap myself in layers and sit outside even for a few minutes to get some sun on my face. It makes a difference, body and soul. Afters the gardens, we walked back toward home and stopped at a grocery store for cereal, OJ, coffee and milk to have in our flat for the mornings. After dropping off the groceries, we walked (and this was actually a really long walk... but worth it because we were fighting against jet lag) all the way down Rue De Grenelle to Rue Cler. Rue Cler in the 7th is one of my favorite streets of Paris. I'm not alone in that sentiment. There you can find wonderful restaurants, including a little Greek place called Ulysse en Gaule. This tiny spot has a crepe stand in the front where you can order sweet and savory crepes that were the very best we had in the city, have them wrapped up in foil to stay warm, and walk over to the Champs de Mars to watch the Eiffel Tower sparkle every hour on the hour. It's magical! 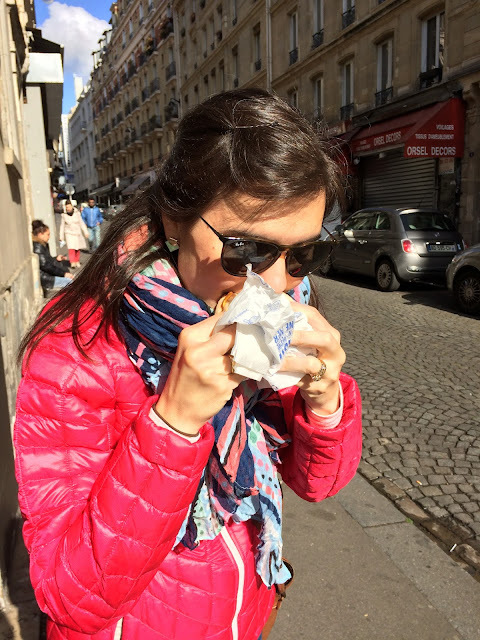 My dear friend Elizabeth who told me about the little crepe stand used to do this exact thing all the time when she studied abroad in Paris. Crepes and the twinkling Eiffel Tower never get old. Too tired from a day of travel to walk all the way back to our flat, we took the metro home. Rue Cler. Gosh I look tired. Ulysse Crepe Stand on Rue Cler. Best in the city! Au revoir! More in the next post. 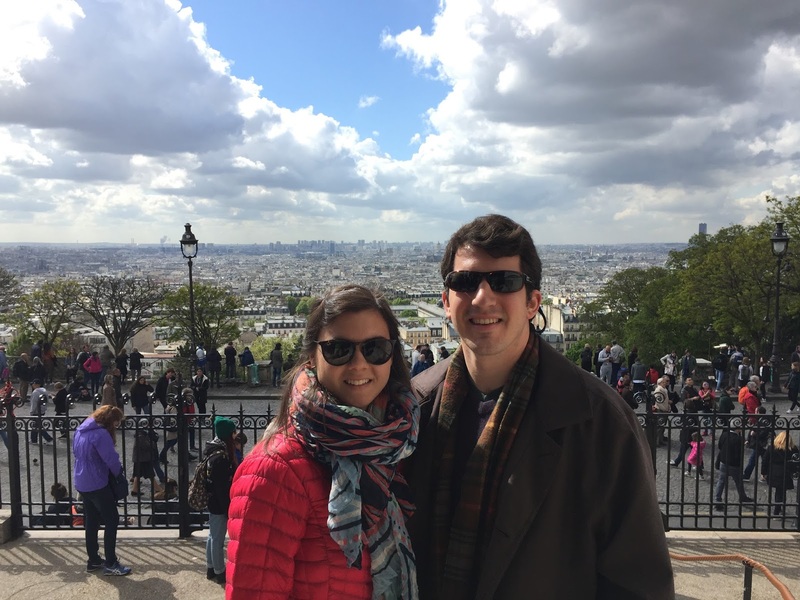 *We booked our flights using a flight deal from Scott's Cheap Flights and searching for flights on Google Flights. I highly recommend both! To get from Orly Airport into central Paris, take the Orlyval bus to RER Line B (Anthony Station). RER Line B goes to central Paris. **We loved our flat and I will gladly share which exact one it was on AirB&B if you are interested.